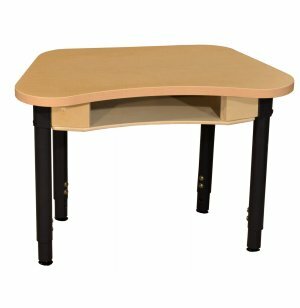 Sturdy, adjustable steel legs make this collaborative classroom desk a smart long-term choice. It grows with your students, to ensure that they have a comfortable workspace at any height. The accessible book box offers the perfect place for notebooks, pencils and other school supplies. Convenient Storage: Built-in book box provides accessible storage for classroom essentials. 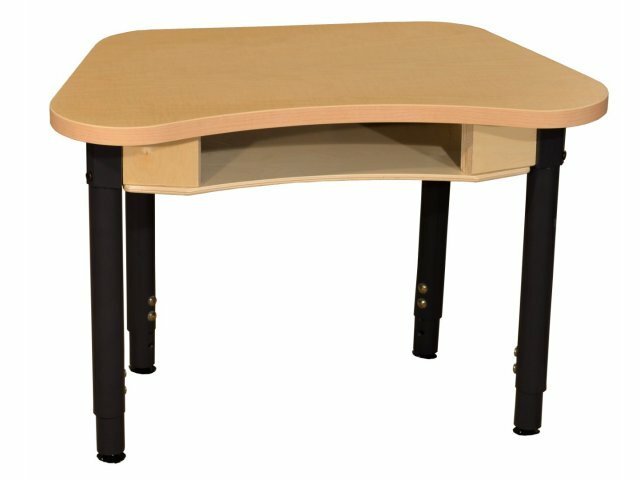 Modular Shape: Desks fit perfectly together, to create the ideal classroom setup. Custom Adjustment: Adjustable-height legs fit your students perfectly, no matter how old they are. Sturdy Support: Powder-coated 16-gauge steel legs are exceptionally strong.